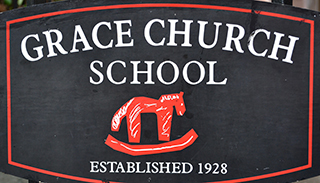 As the oldest preschool in Brooklyn, Grace Church School has long provided young children with a gentle bridge from their home to their first school experience. With a focus on learning through play and social interaction, Grace Church School nurtures each child’s talents in a warm, safe environment. Our curriculum fosters a love of learning while allowing children to develop at their own pace. When children leave Grace Church School, they are confident, curious about the world, and well prepared for their next school. Welcome to Grace Church School! For information about Grace Church School admissions and to request an application for the 2019-2020 school year, please see the Admissions page. Thank you for your interest in GCS.